I was so excited to see that Beauty and the Beast was a record-breaking success opening in theaters everywhere this past weekend! In fact, it is one of the highest grossing films of all time! I just knew it would be. It’s that magical! 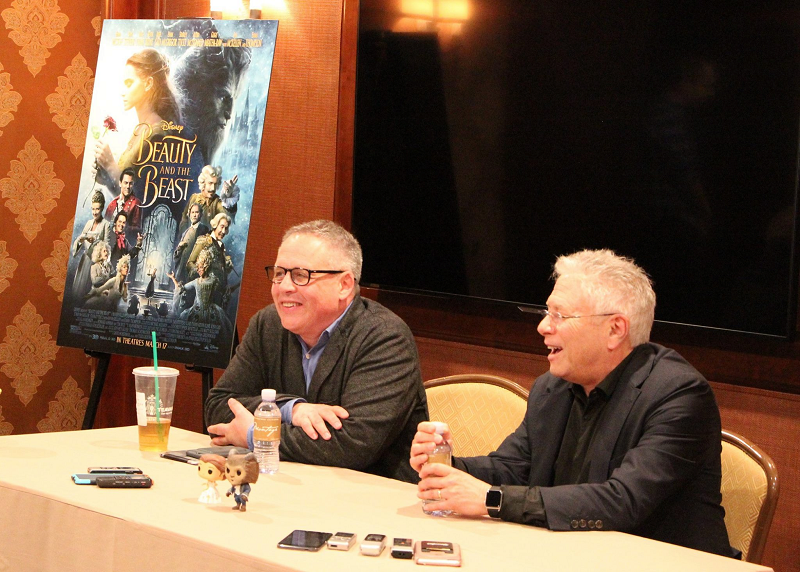 And so today I’ll share with you my last Beauty and the Beast press junket interviews with you, Director Bill Condon and Composer Alan Menken. Josh Gad, Alan Menken, Luke Evans, Dan Stevens, Emma Watson and Bill Condon. 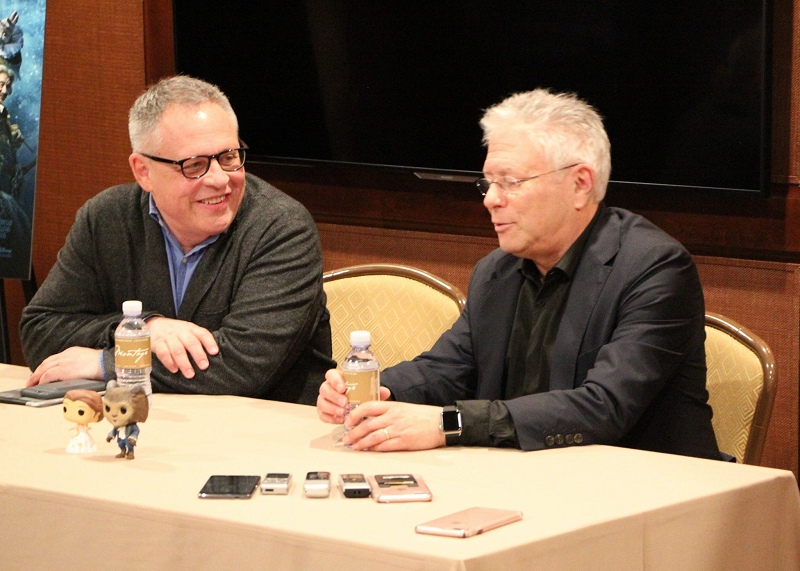 At the beginning of the press junket, before the interviews, we got a special treat by Alan Menken. 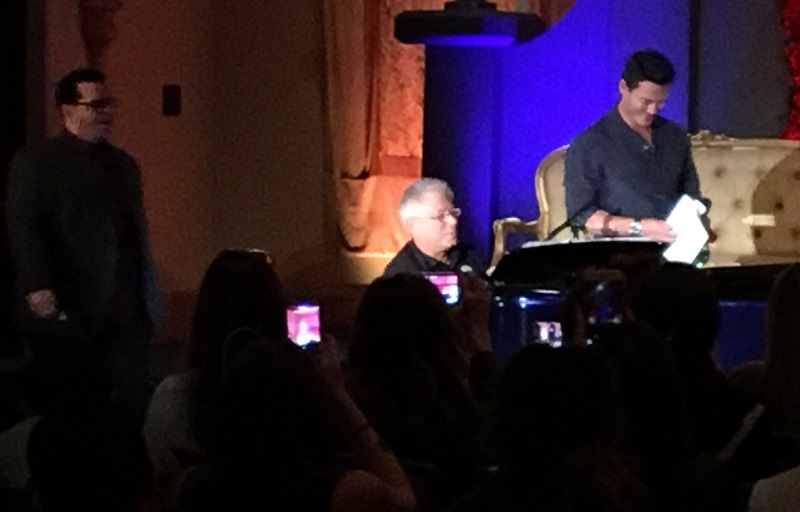 He sat at the piano playing and singing many of the Beauty and the Beast songs from the movie. During one song, Luke Evans and Josh Gad joined it. It was such a special moment to be a part of and see how much enjoyment everyone gets from the music. 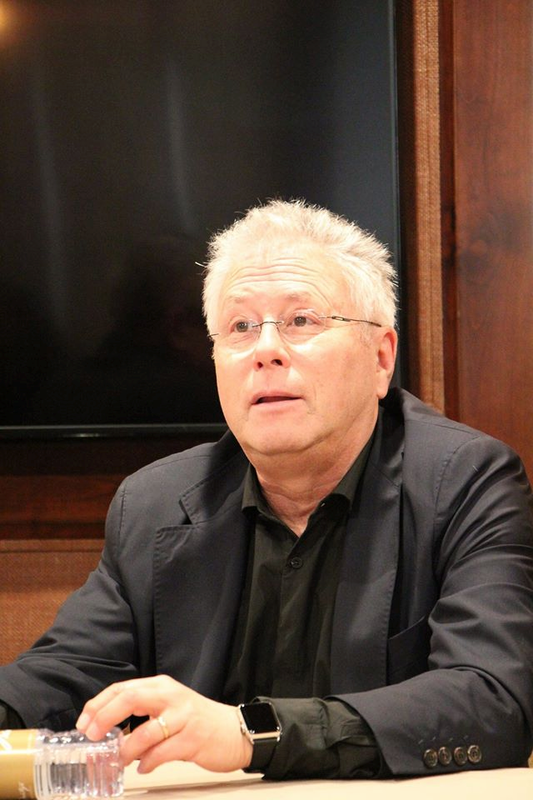 Alan Menken is a composer, actor and artist and is actually famous for working with Disney since 1987. He is known for many Disney movies including Aladdin, Tangled and the original Beauty and the Beast. 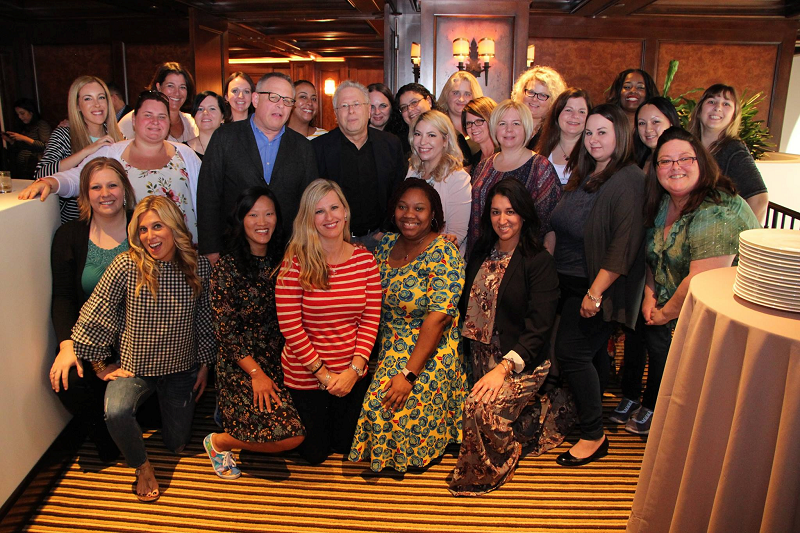 Bill Condon is a director and writer, known for Dreamgirls, Kinsey and Gods and Monsters. Alan said he was drawn to the story by Disney. Howard Ashman and Alan were working on the Little Mermaid and Disney was very happy with it so they were asked to work on Beauty and the Beast. 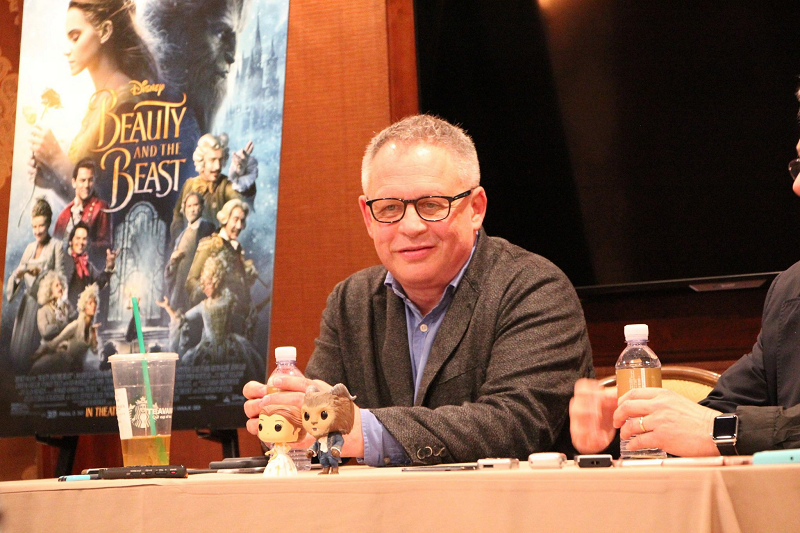 Alan said they were actually working on Aladdin at the time but it had to go back to development so they knew they’d be starting on the music for Beauty and the Beast next. Alan added that Howard was very instrumental in many of the brilliant ideas. 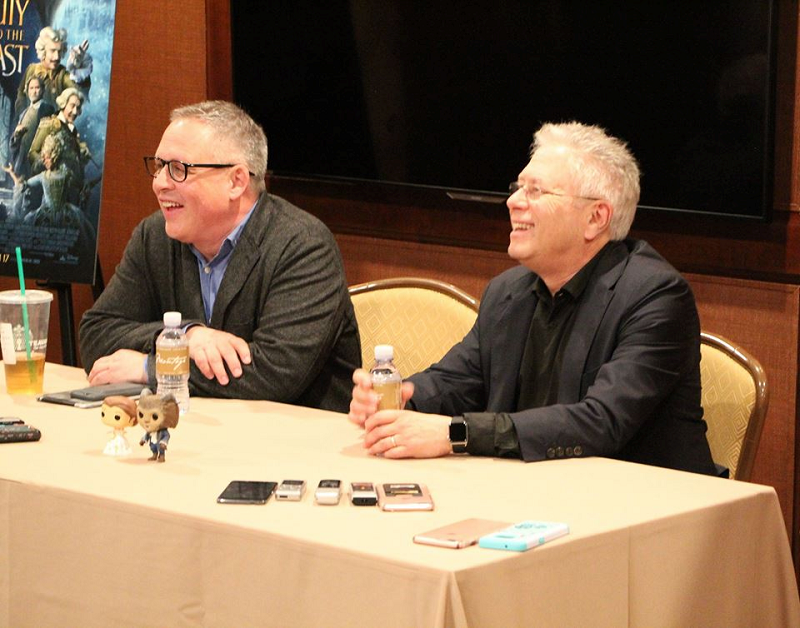 Director Bill Condon said it was really all about the movie and getting the chance to do a live version of it in a live action format. It was a once in a lifetime opportunity for them. Bill is a big fan of musical theaters so Alan was very excited he knew the craft and how musicals worked. One of the new songs, “Days in the Sun,” was actually started back in 2008 when Alan was working on Sister Act. Alan said once Bill came aboard they got to rework that song which became a huge part of the movie. Bill said he was quite intimated by Alan at first since he is such a legendary composer. He thought of Alan as a man of the theaters, someone who craves the dialogue and collaboration. Bill and Alan did an amazing job at preserving the timeless classic but also revealed more to us. It was about reinventing. 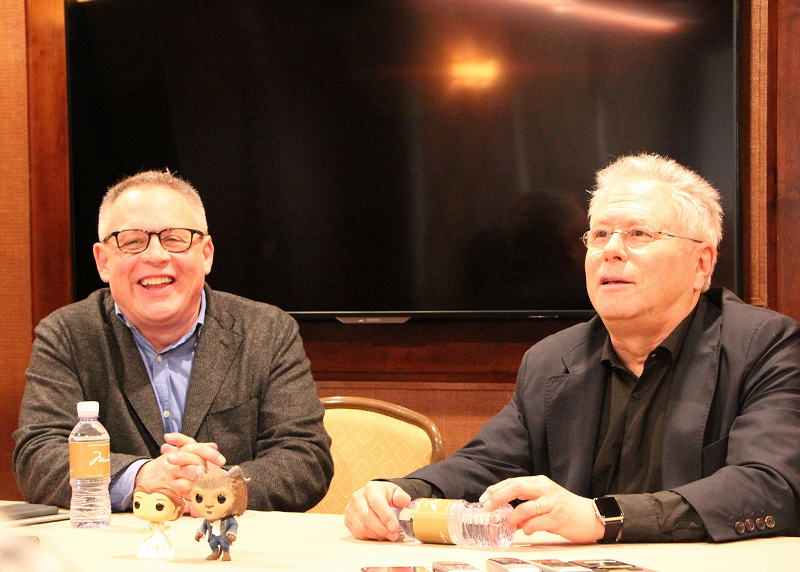 Although they did want to reveal more about different characters, they did not want to cross the line or go too far by not capturing the importance of the original film. 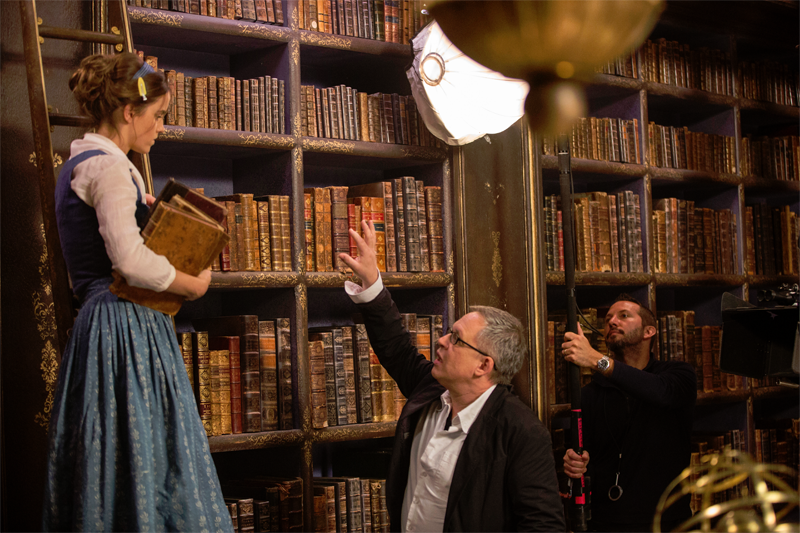 We were curious to know when Bill knew Emma Watson would be perfect to play Belle. He had actually seen her in Harry Potter and thought she would be the perfect kind of connection to a 21st century Belle. When he met Emma she brought a whole pile of books and she was actually in the middle of reading when he came in to the meeting. He said the biggest question Emma needed to answer for herself was if she could sing since she’d never sung professionally. A handshake deal was made that he would send her a script and Emma would make a tape to explore her voice. Her voice was so much a continuation of who she is and how she speaks. Her voice was kind, sweet and brought so much clarity that Bill knew she would be a different Belle but a very satisfying one for audiences. 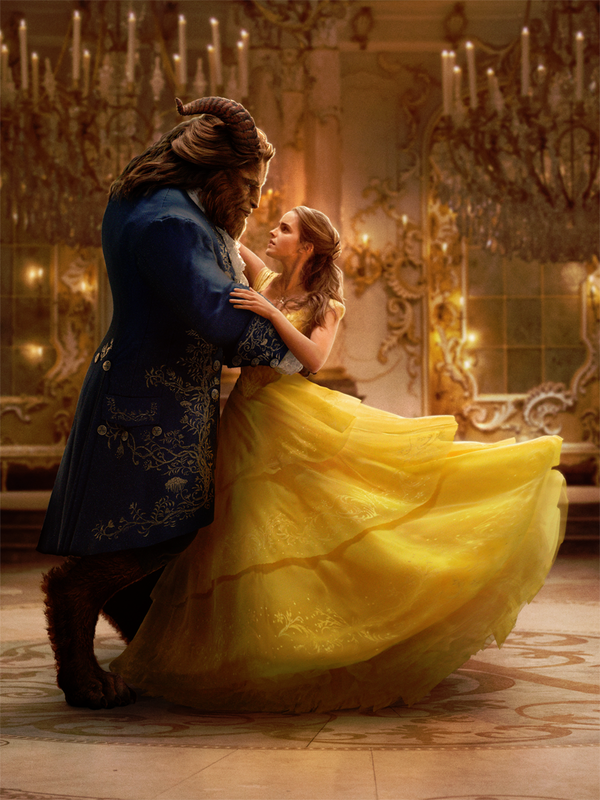 The songs in Beauty and the Beast really help tell the story. Alan said he often compares himself to an architect. He takes a story, creates structures that can be musicalized and writes the songs that create the structure. A structure is a structure but then it’s great when it gets reinvented and that’s been so well done with this movie. Need another great reason to head out to see Beauty and the Beast? 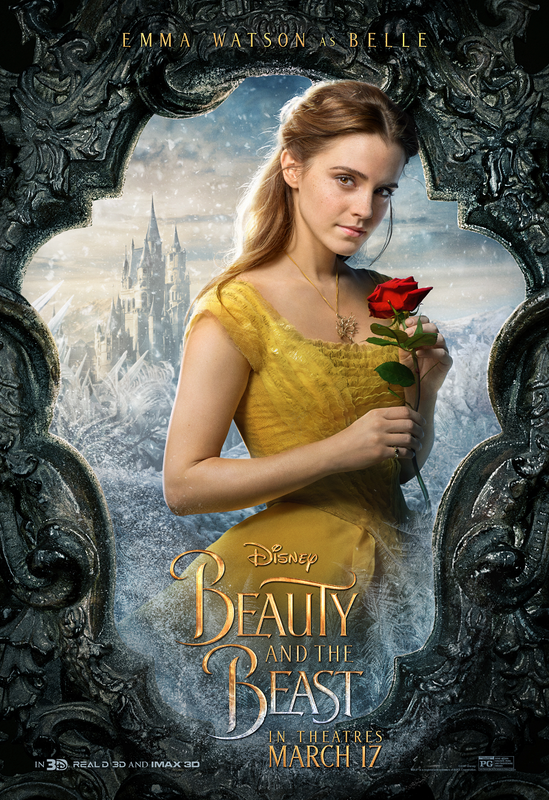 Check out our Beauty and the Beast movie review.